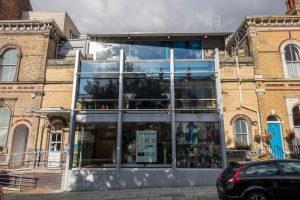 Liverpool's Unity Theatre will reopen in April after a £790,000 redevelopment project and a rebrand by Nonconform. Specialising in the arts sector, Nonconform has a 25-year record of working with venues including the likes of Liverpool’s Everyman Theatre and Royal Court, Manchester’s Royal Northern College of Music and London’s Cecil Sharp House. The redevelopment of the Hope Place venue is the first major work to be carried out since the previous redevelopment in 1998. Director of Nonconform, Andrew Weatherstone, added: “We are delighted to be working with Unity Theatre and their creative partners K2 Architects at this exciting time. From the moment we entered in to initial conversations we were invigorated by both the physical plans for the venue, and the endless ideas and possibilities they open up for Unity Theatre as an organisation.